Even though it’s a show for kids, Disney’s Phineas And Ferb has always been about hooking viewers with a series of tantalizing mysteries. What does it all mean? What does the backyard represent? And, most importantly, where’s Perry? Now, according to Deadline, the show will directly address its mysterious nature by wrapping up all of its lingering questions with everybody hanging out in a church. In other words, Lost showrunner Damon Lindelof wrote an episode of Phineas And Ferb. 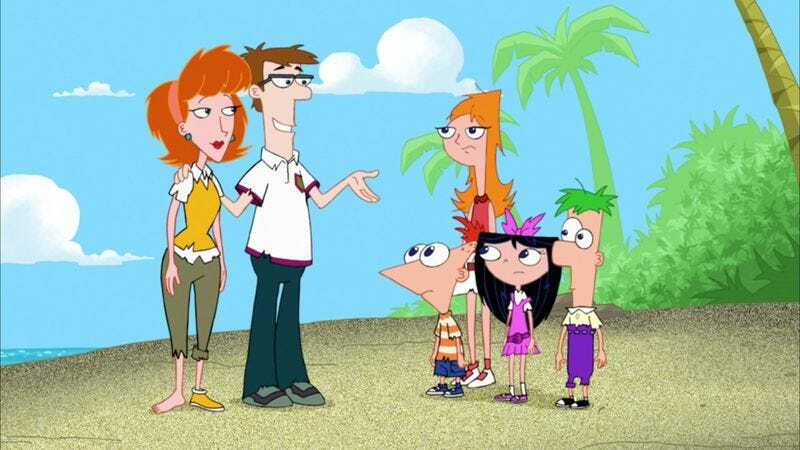 OK, Phineas And Ferb really has nothing to do with tantalizing mysteries, but this episode will reportedly be “Lost-themed” at least. The storyline will involve a “mysterious locked capsule” showing up in Phineas and Ferb’s backyard, and when the stepbrothers manage to get it open, they realize they’ve “unleashed something they cannot control.” We assume this “something” will be smoke and/or monster related, but that remains to be seen. Terry O’Quinn—another Lost veteran—will appear as the evil scientist Professor Mystery, which is apparently not what his character on Lost was named, despite the fact that it’s the perfect name for someone on Lost. Children’s cartoons have a long history of referencing TV shows and movies that the intended audience is unfamiliar with, so this is hardly an unprecedented event. It sounds like it will be less distracting than the recently announced cameo from Simon Pegg and Nick Frost, at least. We just hope Disney doesn’t follow this up with an episode based around Flash Forward or one of the other Lost knockoffs that popped up when it became a hit.